The truck driver is an occupation like any other. However, the level of skills required for a professional truck driver is more than any other occupation. Drivers need to be on top of their game every time. They can’t afford to be off-guarded on duty as lives depend on their driving. Truck driving is also considered one of the most demanding jobs out there. Not everyone can handle the pressure and the lifestyle a professional truck driver has to adapt. For those who are made for this job, they tend to like the routine and often flourish in the physically demanding nature. 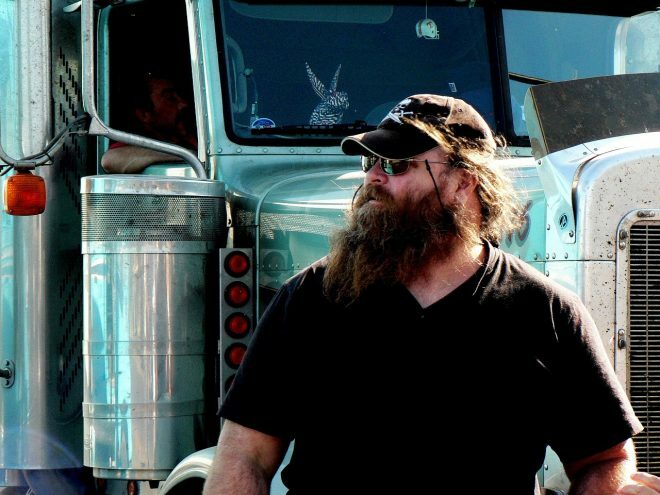 In this article, we are going to share with some cool and interesting facts about truck drivers. 1- A typical day starts very early for a truck driver. They usually start at dawn and pull over at dusk. You may also find night owls, who prefer driving at nights. Night drivers are usually more experienced and trained then day drivers. 2- Drivers work 70 hours in 8 days. This could be arranged in different formats. No matter how you drive, you can’t drive more than 11 hours in a single day. After working for full 70 hours, drivers are required to take a 36 hours rest period. 3- Drivers are also paid differently. Some get paid on an hourly basis while others are paid based on the miles they have traveled in a week. The payout is usually weekly and in some cases, it is even handed over as cash. 4- When it comes to calculating miles, the employer usually draws a single line between point A to B. In actual the distance may be far more as the routes are not always straight. In order to earn more, drivers have the option of becoming a trainer, which requires a certain amount of experience and a clean driving record. Transporting hazardous material and driving long-haul vehicles can also pay you better. 5- On an average, a typical truck driver earns up to $35 k per year during the first year and then $45 to $55 k per year from the 2nd year and onwards. 6- No matter what the drivers carry, they are not responsible for loading and unloading. There are some laws too in certain areas that prevent the driver from loading and unloading. 7- Most professional truck driver cover close to 125,000 miles per year. This amounts to 2500 miles per week or 500 miles per day. Just think about the numbers and the fact that how tough it must be for them. 8- Talking about the perks, truck drivers get to see the countryside like no others. If you are a born truck driver you will most likely enjoy the ride rather than taking it as a stress. Plus you will be driving the most advanced, state-of-the-art vehicles, with ergonomically designed seats to keep you fresh on long routes. Truck drivers also get regular bonuses, overtime, and rise in pay. As a truck driver, you also get to meet different people from different backgrounds, which is a pleasurable experience in itself.